8-Week Boot Camp Challenge – What’s the Big Deal? Do These Challenges Really Work? Home/Cardio, Fitness, Health, Specials, Uncategorized/8-Week Boot Camp Challenge – What’s the Big Deal? Do These Challenges Really Work? Do Fitness Boot Camp Challenges really work for people who want to lose weight and body fat? 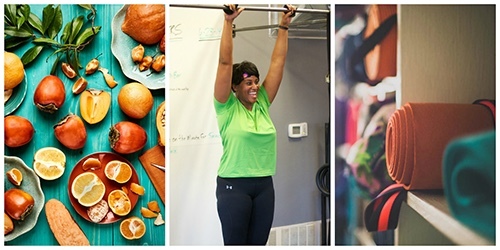 We’ve all heard of them… 6-week Transformation Challenge; Fit Body Boot Camp Challenge, Beach Body Challenge; Little Black Dress Challenge; Paleo Challenge; Whole 30 Challenge; New You Challenge; 30-day Squat Challenge, Navy SEAL Fitness Challenge; 30-day HIIT Challenge… Facebook and Instagram present us with endless opportunities to lose weight, reduce body fat, increase lean muscle mass, get bikini ready… the basic marketing message is to TRANSFORM your body FAST. There are usually lots of pictures of beautiful, thin, muscly, men and women who have used the program to achieve their amazing fitness results. When we apply our common sense, we know it’s highly unlikely that anyone achieved those results in 30-days, six or even eight weeks. When our vulnerable, highly optimistic, dying-to-make-a-change, consumer-driven self takes over, we pull out the credit card, sign on the dotted line, visit the closest lululemon for some new workout gear, and show-up for the kick-off, a little nervous, but ready to make a change. When we report results, we share real photos and real results of participants. Our classes are strategically programmed by certified coaches, just for our Challengers. Nutrition support comes from our on-staff nutritionist who also happens to be a professional chef! Measuring progress and celebrating results are important – we are diligent about helping you keep track. We report actual results. It’s okay if you don’t look like a runway model after eight weeks, no one does!! It’s your progress towards your goals that’s most important. We teach our Challengers the difference between short-term easier to achieve results and long-term life-style change. Each Boot Camp Challenge group has a dedicated fitness coach who is responsible for leading classes and keeping everyone motivated and engaged. I asked our Director of Health & Fitness Programs, Billy Kuhn what he thinks about the effectiveness of fitness challenges – do they benefit the participant or is it just a great marketing tool for gyms. At Fit Phoenix, a fitness boot camp challenge provides a softer entry point into our gym. It is a way for us to engage with the people who would not buy a traditional membership because they are intimidated or do not want to begin their fitness journey with people who are already fit. Sure we have something to sell – doesn’t every business? Our goal is to sell fitness center memberships, personal training, and nutrition services. Challenges are a great way for people to sample our programs and services, and get to know our team of coaches and nutritionists without making an initial long-term commitment. In a Challenge we have eight short weeks to show the participants that we value them and want to earn their longer-term business. The best way to accomplish this is by making sure they have an exceptional experience and are on their way to changing their lifestyle and achieving their fitness goals by the time the Challenge ends. If you’re ready to begin your lifestyle change and choose to do it through a quality fitness program with full nutritional support, then check out our next eight-week Boot Camp. It kicks off Monday, October 30, 2017 and runs for eight weeks – through December 23rd. The retail price for the 8-week program is $299, but for a limited time you may sign-up for $99 for the entire 8-weeks. To sweeten the deal, and guarantee your results, we are including Nutritionist & Chef Teresa’s 7-day Detox program too!